"The clichés of beauty are irresistible. It is usually (although I have to concede not always) some sort of affectation to pretend otherwise." 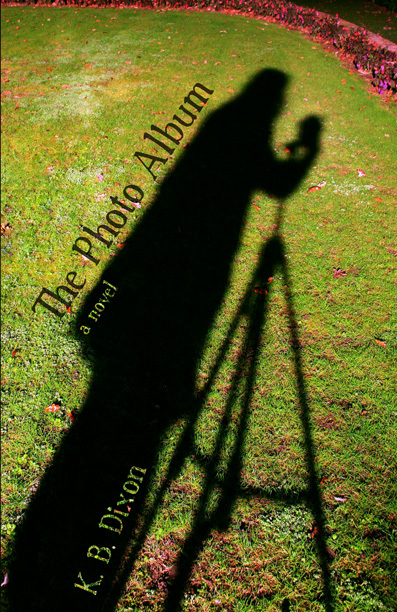 A quirky catalogue of imaginary photographs, The Photo Album is an idiosyncratic mix of character study and meditation—a glimpse into the life of a peculiar photo-enthusiast named Michael Quick and a questioning, if somewhat cursory, examination of his present obsession. It is a portrait not just of the photographer, but of the time and space around him. Also the people—his camera-shy wife Amy; his friend, the writer Ryan Richardson; his neighbors the Moores, whose son is mysteriously missing. A concise and unconventional wander, it is as much a comic adventure as a contemplative one. This collection of photos is in a sense a memoir. It is the story of a photographer—a very amateur one: me—yours truly, the chronically conflicted Michael Quick. As you will soon discover when you turn the page, I am new to the medium—or, more accurately, I should say I am new to it again. I have flirted with photography both regularly and inconsequentially in the past, but as I suspect my expensive new camera will suggest, I seem to have gotten more serious about it lately. One of the problems with getting serious (or semi-serious) about photography is that at some point in the process after you have mastered the various manuals and looked into the basics of making competent images, you will find yourself thinking more than you would like to about the subject of photography in general—about the recalcitrant mystery of it: what it is, what it should be, how it should best be done. It is grueling and ultimately profitless, this noetic gum-chewing. The only thing I feel I can say with certainty right now about the camera is that there doesn't seem to be anything it cannot make interesting—a verity that is in equal parts both worrying and wonderful. If you would like to jump over to Plate 4 and take a quick look, you will find a photo that is pretty typical of the sort of thing you can expect from me. I have for the most part eschewed the "art" shot as well as the emphatically vernacular one. I have taken a sort of middle way, a way in which there is no glory, but with which I am (at the moment anyway) comfortable. This is a photograph of my mother with her mother taken I don't know how many years back. It might not glow with the allegorical meaning of some, but still it fixes us. The women, elegantly dressed, sit primly side by side holding each other's hand. Just minutes before there was, I think, a violent argument from which my mother's mother has not backed down—an argument about the man who would one day soon become my father. My mother and my mother's mother share the same mouth and the same slight build, but they do not look alike. The emphatic bulbousness of the older woman's head alludes phrenologically to the size of her impressive brain while the dourness of her expression suggests it has not been much of a comfort to her. My mother, who wears her rings on nontraditional fingers, is clearly still very much interested in looking pretty. Her hairdo is complex—a small braid rings the center of the creation like a halo separating the severity of the center-parted bangs from the relative voluptuousness of the pompadoured crown. The dress—which is quite obviously silk—leaves her shoulders bare. And in her eye there is a girlish glint I do not recognize; a glint that disconcerts me; a glint in which one can see an intimation of the wildness that will one day overwhelm her. I bought a new lens—a wide-angle zoom. This is the second shot I took with it. I have included it here as a sort of salute to my equipment. I think I have for the most part avoided the obsession with gear that afflicts and addles so many of we dabblers. That does not mean, however, that I am entirely without envy or that I am above the occasional flaunting of whatever technical resources I may have at my disposal.